Conferenceseries LLC Ltd takes privilege and feels honour to whole heartedly welcoming you all for 13th Annual Conference on Stem Cell and Biomaterials during March 11-12, 2019 at Nice, France .The conference includes prominent keynote speakers, plenary speeches, young research forum, poster presentations, technical workshops and career guidance sessions. The conference is organised with an innovative Theme on ‘’Advanced concepts and Frameworks for Biomaterials and Applications ’’. 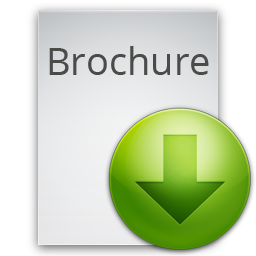 The main goal of Euro biomaterials 2019 is to spread knowledge and share the new ideas amongst professionals, industrialist and students from research backgrounds in the field of biology ,chemistry ,physics, material science and engineering to share their research experiences and have an interactive sessions and discussions at this event. It is a great platform for companies as well as institutions to represent their research services, products ,innovations and Research results. Euro Biomaterials 2019 is a place where you can explore your ideas across the globe. Currently biomaterials is facing so much challenge in the field of medicine. To overcome this challenge Euro biomaterials 2019 is the ultimate platform to share the innovative ideology in the biomaterials. Here you can meet experienced professors from different universities, world class scientists, industrial experts, Decision makers, defined eminents in biomaterial business. This conference is very useful for delegates especially students in terms of academics and for carreer opportunities through this interaction sessions. Through this conference different novel approach, strategies and appropriate solutions can be shared and expressed. Euro Biomaterials 2019 is a great platform for building a gap between academia and industry through innovative decisions in research methods in Biomaterial science. Biomaterials is showing a steady growth not only in the field of medicine but also in the field of engineering and material science. This conference is not just a place for sharing the ideas but it also plays a role in spreading the concepts and research advances across the globe which will have a great impact in clinical, definite and physiological parts of medicinal and designing. We are sure that this conference will provide a great strategies and novel approaches in current biomaterial challenges and give biomaterials as a solution for many upcoming diseases. Biomaterials are defined as artificial materials that are made up of bio based or synthesized materials. Biomaterials are used for reparation or reconstruction of the musculo-skeletal system and soft tissue regeneration and conjointly in various medical instruments and devices. The potential applications for biomaterials are quickly increasing, with entirely different physical, mechanical and medical properties required for numerous applications. One versatile and widely used methodology for the short preparation and testing of biomaterials is Pulser Laser Deposition (PLD). Geistlich biomaterials are derivatives of natural bovine or porcine material that are been developed for new bone or soft tissue formation. They are used to promote new bone formation and soft tissue healing in the human body. Biomineralisation is a process of formation of minerals by living organism which are used for harden and stiffening of existing tissues. International Conference on Bionanotechnology, Biomaterials and Advanced Biomechanics, January 30-31, 2019 New York, USA; International Conference on Bio mechatronics and Biomaterials, January 10-11, 2019 Singapore; International Conference on Biomaterials Engineering, April 27-28, 2019 Kyoto, Japan; International Conference on Biomaterials, Microstructure and Macrostructure April 24-25, 2019 Boston, USA; 3rd International Pharmaceutical Conferences, Oct 29-31, 2018, Brussels, Belgium; 4th International Architecture Materials Conferences, Dec 10-12, 2018, Barcelona, Spain; 3rd International Medical Information and Bioengineering Conferences, Sept 22-24, 2018, Manchester, England, United Kingdom; 5th International Mechanical properties of Materials Conferences, Nov 23-25, 2018, China; 10th International Chemical, Environmental and Biological Engineering Conferences, Sept 27-29, 2018, Berlin, Germany. Europe: European Society for Biomaterials, UK Society for Biomaterials, Romanian Society for Biomaterials, Hellenic Society for Biomaterials, Scandinavian Society for Biomaterials, Italian Society for Biomaterials. USA: Society for Biomaterials, Canadian Biomaterials Society, International Society of Biomedical Polymers and Polymeric Biomaterials (ISBPPB). Asia: The Korean Society for Biomaterials, Japanese Society for Biomaterials, Chinese Society for Biomaterials, Society for Biomaterials and Artificial Organs. Biodegradable biomaterials are those which undergo degradation on exposure to microorganism or through other processes. Polymers are the important class of biomaterials. Biodegradable polymers have a great advantage over biostable polymer. Now a days biodegradable polymers shows a great interest in medical applications and in future biodegradable polymers replace the biostable polymers.one of the important advantage of biodegradable polymer is it does not leave any mark of residue at the implantation site. Hydrolytic degradation is the main mechanism involve in polymer degradation. Modification in current polymers and their processing techniques allows improvement in order to produce better performance in biological media.one of the important trend is the synthesis of novel polymers which exhibits improved bioavailability and bioresponsive. International Conference on Biomaterials and Regenerative Medicine, May 11-12, 2019 Montreal, Canada; International Conference on Biomaterials and Structures ,May 25-26, 2019 London, UK; International Conference on Medical Nanobiotechnology and Nanostructured Biomaterials ,May 04-05, 2019 Rome, Italy; International Conference on Nano and Biomaterials ,July 29-30, 2019 Zurich, Switzerland; International Conference on Nanobiotechnology and Nanostructured Biomaterials, June 07-08, 2019 Barcelona, Spain; 21st International Advanced Materials Conferences, September 04-06, 2018, Zurich, Switzerland; 2nd International Food Processing and Biotechnology Conferences, Oct 1-3, 2018, Frankfurt, Germany; 12th International Conference & Exhibition on Tissue Preservation, Life care and Biobanking (B2B & Networking), November 9-10, 2018, Atlanta, Georgia, USA; 11th International Conference on Tissue Engineering & Regenerative Medicine, October 18-20, 2018, Rome, Italy; 2nd Annual summit on Cell Signaling and Cancer Therapy, September 19 - 20, 2018, Philadelphia, Pennsylvania, USA; 10th Tissue Repair and Regeneration Congress, September 20-21, 2018, Dubai, UAE. USA: Society for Biomaterials, Canadian Biomaterials Society, International Society of Biomedical Polymers and Polymeric Biomaterials (ISBPPB), World Biomaterials Congress. 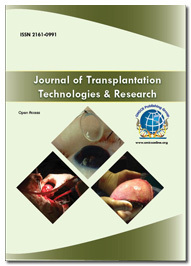 Stem cell plays a distinguished role in tissue engineering applications. There will be a synergistic impact on stem cell based regenerative therapies through stem cell and biomaterial technology. Interaction of stem cell technology and biomaterials would allow the latest biomaterial designation for future clinical therapeutic applications. The method mainly aims for development of adult stem cell-based tissue designed for biomaterial implants and organoids. This method develops the cells to produce and use induced Pluripotent cells (iPS) from differentiated cells. 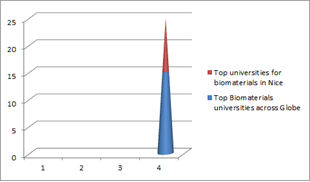 There is an excellent future prospect for biomaterial and nanotechnology in the field of medicine. Nanomedicine “the application of nanotechnology to health” showed an exponential growth for the last two decades. Now a days nanoparticles are showing a great interest because of their unique optical, magnetic, electrical, and other properties emerge. Recent advancements like nanometre-sized ceramics, polymers, metals and composites are receiving much attention in the field of bone tissue engineering. The bionanomaterials has applications in novel fibres, sensors, adhesives etc. These are used for the cancer treatment, regeneration practices and the polymers are important for gene delivery systems. Biomaterial plays a important role in the field of medicine today.The main function of biomaterial is its healing power for injuries and restoring function. Biomaterials are naturally or synthetically derived. Natural Biomaterial include silk, gelatin etc. while synthetic biomaterial includes polymers, ceramics and composites. Metals are the main criteria for manufacturing of biomaterial and are widely used in the field of orthopaedic, cardiac and in dental implants. Since metals are more prone to corrosion, wear so surface coating and modification of metal is necessary for good medical application. Bioactive glasses are novel dental materials which are mainly used in dentistry. It consists of calcium and phosphates which are present in proportion similar to bone hydroxyapatite.They are presently used in bone grafts, scaffolds and coating material for dental implants. Bioactive glasses like bioglass (45S5) are used intraoral for bone grafting. The bioactive glasses involves two common process namely sol-gel and melting. It forms a strong, rapid and stable bond with host tissues. Bioactive glass has become an interesting area for researchers and still research on bioactive glass is going on. Bioactive glasses with various composition are used for wide range of applications. The spine is a combination of bones, joints, ligaments, tendons and muscles. Failure of any of these parts might need the operating surgeon to control or stop deterioration in stability or in neurological function.Over the past few decades, spine disorders became a significant health concern and therefore a variety of spinal surgical procedures has been rising considerably. A number of biotechnologies and biomaterial techniques are applied in spinal surgery for its effective treatment within the spine, once conservative treatment is ineffective the foremost suggested operation is decompression followed by fusion. Success rates of spine fusion extensively depends on bone grafts peculiar properties. Autograft has been acheived a solid but still research is focussed on development of new biomaterials. Cardiovascular biomaterial is presently having a great demand and investment in the field of medicine. Biocompactibilty is the main criteria for cardiovascular biomaterials.Surface modification methods are presently used methods for increasing the compactibility of biomaterials. The scope of cardiovascular biomaterials is growing gradually and lots of new investigators and researchers are developing interest towards this field. Two important considerations for cardiovascular biomaterials are physical & mechanical properties and biocompactibility. Metallic and polymeric materials show a better replacement in cardiac tissues, but they fail in case of biological tissues. Metals and their alloys, polymers and biological materials are the cardiovascular application of biomaterials. Metallic biomaterials are the substance which plays important role for internal support of biological tissues which are largely used in dental implants, joint replacements, and orthopaedic fixations and in stents. Metallic biomaterial is future standard for hard tissue applications and in soft tissue needs .The current biomaterials has issue related to metal on metal wear, metallic ion leaching, corrosion, and such other time-dependent degradation phenomena. Laser usage for surface modification of metallic biomaterial is now becoming increasingly popular. The commonly used materials in orthopaedic surgeries are biomaterials. They show host response to orthopaedic material and encompass the host response to local tissue trauma and implant it. Tissue grafts and tissue graft substitutes are one of the most widely used biomaterials in orthopaedic implants .Tissue grafts includes autograft, allograft, or xenograft. Bone grafting is another technique which is used either alone or in combination with arthroplasty, spine, trauma, and other orthopaedic procedures. International Conference on Nanostructured Biomaterials, March 30-31, 2019 Osaka, Japan; International Conference on Biomaterials Engineering ,April 27-28, 2019 Kyoto, Japan; International Conference on Bionanotechnology, Biomaterials and Advanced Biomechanics, January 30-31, 2019 New York, USA; International Conference on Sustainable Biomaterials ,March 11-12, 2019 Dubai, UAE; International Conference on Biomaterials, Microstructure and Macrostructure ,April 24-25, 2019 Boston, USA; Material Processing and Technology Conferences, July 14-16, 2018, China; ; 7th International Engineering and Innovative Materials Conferences, September 10-12, 2018, Tokyo, Japan; International Nanomaterials and Applications Conferences, September 09-14, 2018, Ukraine; 3rd International Medical Information and Bioengineering Conferences, September 22-24, 2018, UK. Tissue engineering and regenerative medicine provides a number of solutions to clinical problems which permanent replacement devices cannot provide. The most challenging area for biomaterials based tissue engineering is to provide the regenerative solutions to musculoskeletal problems that emphasise the biomaterials which have been developed as scaffolds for tissue engineering in cartilage. To provide successful regeneration in tissue regeneration, the cell should undergo proper proliferation and differentiation resulting in cell-induced tissue regeneration. Biophotonics is a technique which forms an interaction between photon and biological materials.It is an interdisciplinary field which is used for the development and application optical techniques, particularly imaging, to the study of biological molecules, cells and tissue.One of the benefits of using optical technique is that they store the integrity of biological cells which are being examined.Recent biophotonics have developed the new applications for clinical diagnostics and therapies for fluids, cells and tissues.These advancements allowing the scientist and physicians to develop superior, non-invasive diagnostics for vascular and blood flow, and tool for better examination of skin lesions. Dental caries is the most common and widespread biofilm-dependent oral disease which causes destruction of tooth structure by the acidic attack from cariogenic bacteria.It remains a challenging problem and the adult population facing this problem is enormous and despite of having advances in caries prevention and tooth restoration,treatments continue to pose is a substantial burden to healthcare.Amalgam is the most commonly used silver grey material in the field of dentistry. With an increase in clinical need for dental patient,a variety of novel dental biomaterials have been developed. These biomaterials should be stable and easily compactible with oral environment.The biomaterials which are in current use are Zirconia, resin composites, titanium alloys etc..
3D-Bioprinting is a technique in which 3D-printing is used to combine cells,growth growth factors and in fabrication of biomaterial parts.Generally in bioinks ,3D printing uses layer by layer method to deposit materials and create tissue like structures which are later used in medical and tissue engineering fields.Biomaterials is now emerging innovations for bioprinting of cells .Bioprinting covers a wide range of biomaterials.3D-printing is showing its profound utility in research and in regenerative medicine. Also there is printing of scaffolds are taking place through bioprinting and these scaffolds are used to regenerate joints and ligaments. Biomaterials like metal, ceramics, polymers and composites are currently used biomaterials in 3D-bioprinting. 2nd Annual Summit on Stem Cell Research, Cell and Gene Therapy, November 9-10, 2018,Atlanta, Georgia, USA; World Structural and Molecular Biology Conferences, November 26-28, 2018, Italy; 2nd Annual Inhalation & Respiration Drug Products Summit, November 15-16, 2019, Barcelona, Spain; 7th International Nanomaterials and Nanomedicine Conferences, October 26-29, 2018, Japan; Injectable Drug Delivery Conferences, September 16-17, 2018, London, UK; 18th World Pharma Congress, October 18-20, 2018, Warsaw, Poland; 12th International Conference & Exhibition on Tissue Preservation, Life care and Biobanking (B2B & Networking),November 9-10, 2018,Atlanta, Georgia, USA; Conference on Stem Cell and Regenerative Medicine, October 15-16, 2018,Helsinki, Finland; 23rd International Pharmaceutical Biotechnology Conferences, December 10-11, 2018, Rome, Italy. 30th Annual Nanomaterials Conferences, September 10-11, 2018, Stockholm, Sweden; 5th Global Nanotechnology Congress and Expo, December 03-05, 2018, Valencia, Spain; 2nd International Nanomaterials and Biomaterials Conferences, December 10-12, 2018, Barcelona, Spain; International Conference on Nano and Biomaterials , July 29-30, 2019 Zurich, Switzerland; International Conference on Biomaterials and Regenerative Medicine ,May 11-12, 2019 Montreal, Canada; International Conference on Medical Nanobiotechnology and Nanostructured Biomaterials ,May 04-05, 2019 Rome, Italy. Self-reestablishment and multiplication of foundational being populaces is controlled, to a point, by pretense of cell death. Caspase mediated cell death of stem cells could be a dynamic method that changes consequently to the response to environmental conditions. The amount of stem cells are continually balanced between the lost through differentiation and to the gained through proliferation. Self-renewal and multiplication is controlled to a point by the pretense of caspase-mediated cell death. Due to natural conditions caspase-mediated cell death of immature microorganisms is accepted to be dynamic. Cancer stem cells are the cells which the possess characteristics of traditional stem cells. CSCs could generate tumors through the somatic cell processes of self-renewal and differentiation into multiple cell sorts. Such cells square measure hypothesized to act tumors as a definite population and cause relapse and metastasis by giving rise to new tumors. A development of specific therapies targeted at CSCs holds hope for improvement of survival and quality of lifetime of cancer patients, particularly for patients with pathologic process illness. Stem cell Niche is defined as Self-renewal and differentiation of Stem Cell is modulated in an area of stem cell. The ability to specific niche cell types and intrinsic factors in this micro environment to maintain tissue homeostasis.The most important thing of Niche is to determine how stem cells behaves and what can be possible reason for some fatal diseases like cancers which results in creating microenvironment more or mutated growth factors which makes stem cell to replicate without differentiation and ultimately becomes cancerous. Researchers are studying about the various component of the Niche and try to replicate in-vivo niche conditions. Stem Cells can be defined as dedifferentiated biological cells that may differentiate into specialized cells and maydivide (through mitosis) to supply additional stem cells. They will be found in found in cellular organisms. In mammals, there square measure to broad kinds of stem cells: Embryonic stem cells, that square measure isolated from the inner cell mass of blastocysts, and adult stem cells, that are found in numerous tissues in adult organisms. Stem cells is also taken from fatal membrane blood merely once birth. Of all cell varieties, autologous gather involves the littlest quantity risk. By definition, autologous cells square measure obtained from one's own body, at the same time as one might bank his or her own blood for elective surgical procedures stem cells and ascendent cells act as a repair system for the body, replenishing adult tissues. Conference Series LLC Ltd cordially invites you all for 13th Annual conference on Stem Cell and Biomaterials scheduled during March 11-12, 2019 at Nice, France. The conference mainly focusses on theme of Advanced Concepts And Frame works for Biomaterials And Applications. The conference is gearing up for exciting and innovative program including complete lectures, symposia, workshops on various topics, poster presentations and several programs for participants from all over the world. 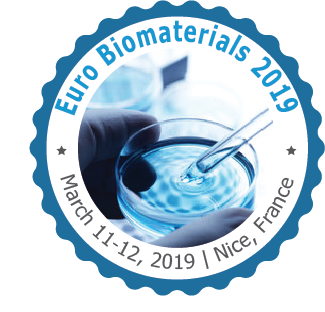 Euro biomaterials 2019 invite you to join this conference where you can have an excellent experience with scholars across the globe. We on behalf of Euro biomaterials 2019 organizing looking forward to meet you at Nice, France. Biomaterials are the substances of biological or of synthetic origin which produce a significant function on interaction with living systems. 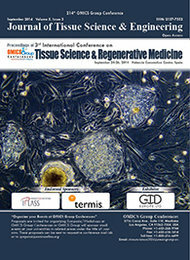 Biomaterials provide a peer reviewed platform for characterisation and synthesis of biomaterials, production of novel structures and devices through fabrication technologies, fabrication of ex vivo functional tissues through tissue engineering, In vivo replacement of functional tissues and organs through regenerative medicine, delivery of therapeutic agents and vaccines through Nano – particulate systems . It also provides novel approaches in biomedical imaging, biosensors and diagnostics. It plays a key role in biocompatibility and toxicology studies and fundamental interactions between biological and biomedical systems. Biomaterials will have a great impact on development of pharmaceutical products with improved drug action and efficacy with reducing side effects. Nano medicine is one the field which shows a tremendous impact on therapeutics and diagnostics. Nice is the capital of Alpes-Maritimes department and is that the fifth most well-liked town in France. The metropolitan area Located in the French Riviera, on the south east coast of France on the Mediterranean Sea, at the foot of the Alps, Nice is the second-largest French city on the Mediterranean coast and the second-largest city in the Provence-Alpes-Côte d'Azur region after Marseille. Terra Amata, is the current area of Nice having an archaeological site which displays evidence of a very early use of fire. The strategic location and port of this area significantly contributed to its maritime strength. The Promenade des Anglais is the main seaside of the city owes its name to visitors to the resort. Nice possess a hot-summer Mediterranean climate having a enjoyable mild winters with moderate rainfall. It is one of the warmest Mediterranean climates for its latitude. The beauty of Nice can be expressed through its nickname Nice La Belle, which is also the title of the unofficial anthem of Nice, written by Menica Rondelly in 1912. Place Masséna is the main area of the city. Prior to the Paillon River was covered over; the Pont-Neuf was the only way between the old town and the modern one. The Place Garibaldi also known for its architecture and history. It is named after Giuseppe Garibaldi, hero of the Italian unification. It has a crossroads between the Vieux Nice (old town) and the town centre. One of the finest municipal botanical garden located at 78 avenue de la corniche Fleurie, Nice,Alpes-Maritimes, Provence-Alpes-cote d’Azur ,France. The castle of Nice which is used as citadel for military purpose was built at the top of the hill from 11th century to 18th century. In addition to it, Chateau, Cours saleya, Musee Massena, flower market, Old Nice, Fort of Mont Alban are some of the attractive sites of Nice. Place du Palais is one of the famous law courts located in Nice. Palais Rusca is a square belonging to justice department and is notable due to presence of the city clock. It is alive during day and night. Observatoire de Nice is one of the astronomical observatory which is located on the summit of Mont Gros. Explore your valuable research concepts with members from all around the globe . The conference mainly focusses on learning the innovative methods in advancements in biomaterials, to beat the challenges related to biomaterials which is the current issue biomaterial is facing. This is the most effective chance to meet large number of eminent persons from all over the world. This is a platform where you can globalise your research. It covers the exciting concepts from medicine, biology, chemistry, materials science and engineering. Ethics, law, and health care delivery systems are the powerful human side to biomaterials. 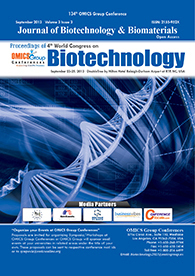 A leading number of Doctors, registered nurses, healthcare professionals, professors, Associate professors, research fellows,Directors, Deans and many other leading companies, medical and engineering universities, hospitals sharing their novel ideas and strategies for the development of latest advancements in biomaterials. There is a market growth of more than US$ 149.17 Billion by 2021 at a CAGR of 16% in the given forecast period of biomaterials global market is expected. Growing of geriatric inhabitants worldwide, increase in incidence of diseases, graft transplant surgeries; medical implants and technological advancements will drive the market growth. Adverse reactions of biomaterials and strict regulatory requirements are the hampering factors favouring the market growth. Biomaterials market includes major driving factors like increase in demand of dental demands, increase in knee and hip replacement surgeries, research interest and development of biomaterials and advancement in medical innovation. 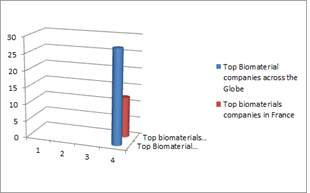 Biomaterials is also having a high demand in wound healing technology and in surgeries. The glue market and global bone cement is predictable to achieve USD of 993.0 Million by 2022 from USD of 322.6 Million in 2017, at a CAGR of 5.9% The market development is primarily driven by the rising prevalence of sports injuries and accumulative developments in regenerative medication field. The important persons within the bone cement and glue market involve Stryker (US), walker Biomet (US), DePuy Synthes (US), Smith (UK), Arthrex (US), DJO world (US), Exactech (US), TEKNIMED (France), Heraeus Medical (Germany), CryoLife (US), Cardinal Health (US), and Trimph (Australia). A predictable achieve of $1.7 billion in 2015 from $550.2 million in 2008 with a CAGR of 19.5% from 2010 to 2015 was observed in Brazil biomaterials market. In 2009, the orthopaedic biomaterial market recorded revenues of $236.5 million or thirty 17.5% of the full biomaterial product market. This is often principally owing to additive application areas and starter of subtle technologies within the biomaterials market. Cardiovascular biomaterial product market is that the second-highest market, conducive 12 months of the full biomaterial product market. 3D-Bioprinting achieves a probable estimation of USD of 411.4 Million by 2021 from USD 332.6 Million in 2016, at a CAGR of 26.5% throughout the prediction amount. 3D Bioprinting and socio-ethical considerations associated with the utilization of 3D-bioprinted merchandise are the main challenges during this market. The worldwide 3D printing medical devices market is projected to achieve USD 1.88 Billion by 2022 from USD 0.84 Billion in 2017, at a CAGR of 17.5% throughout the forecast amount. Technological progressions, growing public-private funding, straightforward growth of made-to-order medical merchandise, and rising applications within the care trade are the main factors driving the expansion of the 3D printing medical devices market. 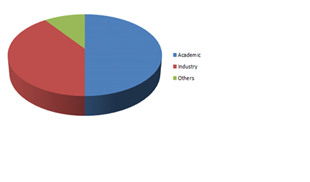 The key corporations within the world 3D printing medical devices market are Stratasys, Ltd. (Israel & U.S.), 3D Systems Corporation (U.S.), EnvisionTEC GmbH (Germany), pass off NV (Belgium), Eos GmbH (Germany), Arcam AB (Sweden), conception optical device GmbH (Germany), Renishaw plc (U.K.), Prodways cluster (France), and 3T RPD Ltd. (U.K.). Thank you to any all the tremendous speakers and conference attendees of Biomaterials 2018 Conference. The 3rd Annual Conference and Expo on Biomaterials was organised by the Conference Series LLC Ltd which was scheduled during March 05-06, 2018 at Berlin, Germany having a theme on “An Initiative to make Materials live.". Organizing Committee Members, Editorial Board Members of Journals showed their active participation and response in this conference. Also famous scientists, engineers, researchers, students and leaders from the fields of Biomaterials Science and Tissue Engineering, World Health Organization made this event fruitful. With a great success of Biomaterials 2018, we are glad to announce “13th Annual conference on Stem Cell and Biomaterials’’ scheduled during March 11-12 ,2019 at Nice, France. For more details, visit Euro Biomaterials 2019. Planning a Trip to Nice?? Attend our Meeting!! !